Jeff Powell has been recording, mixing and producing records for more than 30 years – working with a who’s who of musical legends, from Bob Dylan and B.B. King to Glyn Johns and Eddie Kramer. Powell served as staff assistant engineer, then engineer/ mixer and finally producer at Memphis’ legendary Ardent Studios from ’89-’97. He has been working independently since then, and now makes his home base at Sam Phillips Recording Service. 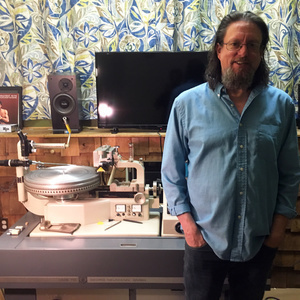 Beyond his work as a producer and engineer, Jeff has expanded his horizons over the last 10 years and is now cutting vinyl records on his Neumann VMS 70 lathe at Sam Phillips Recording Service. His company is called Take Out Vinyl, and he has cut over a thousand records to date.